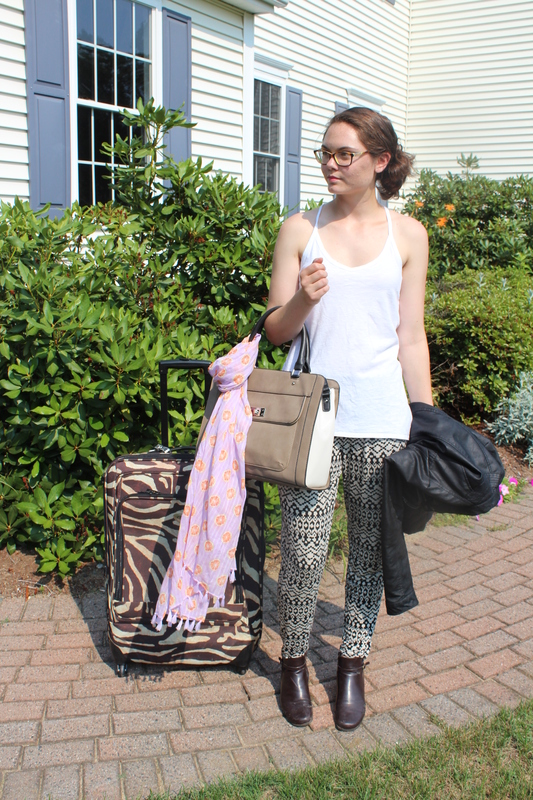 Putting together the perfect travel outfit is an art form. The goal is absolute comfort and versatility, but done without looking like you just rolled out of bed. Pajamas are not a viable option (you’re in public, people). 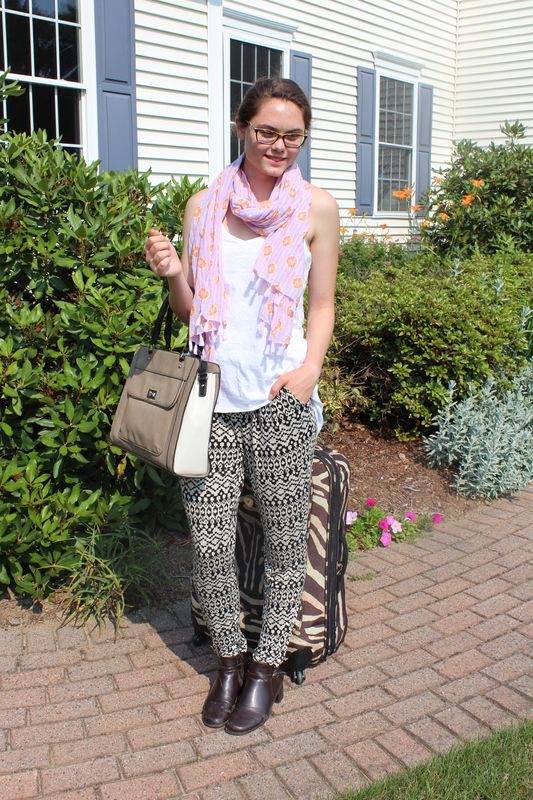 For my 23+ hour trip over to Australia, I put together this outfit that makes traversing airports a breeze. I started with the pants; I knew I wanted something yoga pant-like, but with a bit more style. And it had to have pockets (as I knew from experience that I would be using those quite a bit). I found these from Old Navy, and loved the look and feel. The boots are easy to slip on and off (a must for getting through security) and are some of the bigger shoes I’m bringing with me, which helps lighten my suitcase load somewhat. The socks are some of my compression-esque running socks, which are good for the plane. From there I added layers; a light tank top as a base, a scarf for warmth or a makeshift pillow, and topped off with a faux leather jacket. I tend to be either really warm or really cold on planes, so the extremes of a tank top and jacket work best for me. I actually will be traveling with a lot more baggage (in total: two checked suitcases and a large backpack), but this bag is the perfect carry on. It fits my laptop, some magazines and other in-flight necessities without being too big. It also has a number of pockets, and both straps and handles. 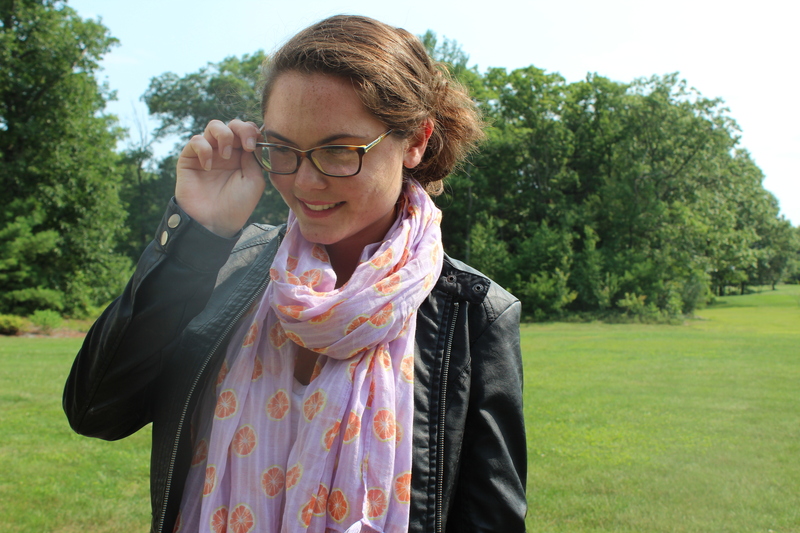 I always wear my glasses when traveling, because they’re easy to take on and off, and they won’t dry my eyes out like contacts (learned that one the hard way). For makeup, if I wear any, I like a CC cream. On shorter flights I might do some eye makeup, but for this 23+ hour journey, I’m keeping it minimal. My hair is always in a bun for travel; out of the way and easy to deal with. 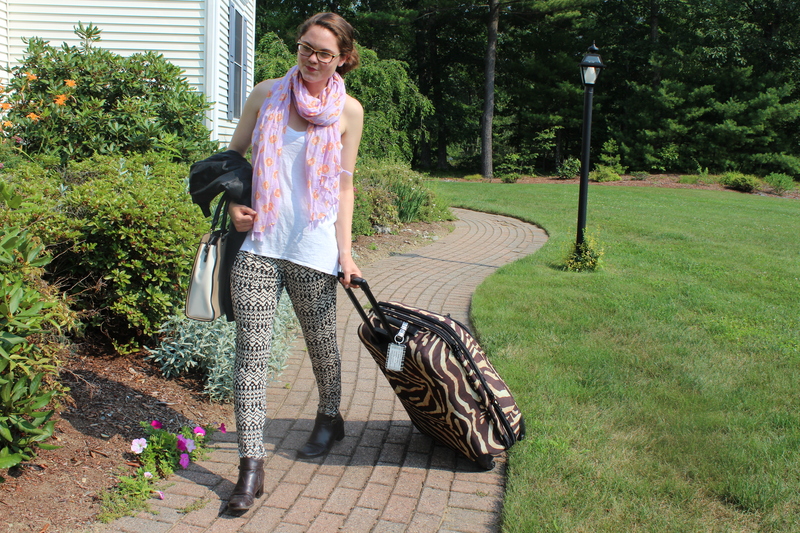 Anyone else have some handy travel outfit tips? You look so chic and stylish. 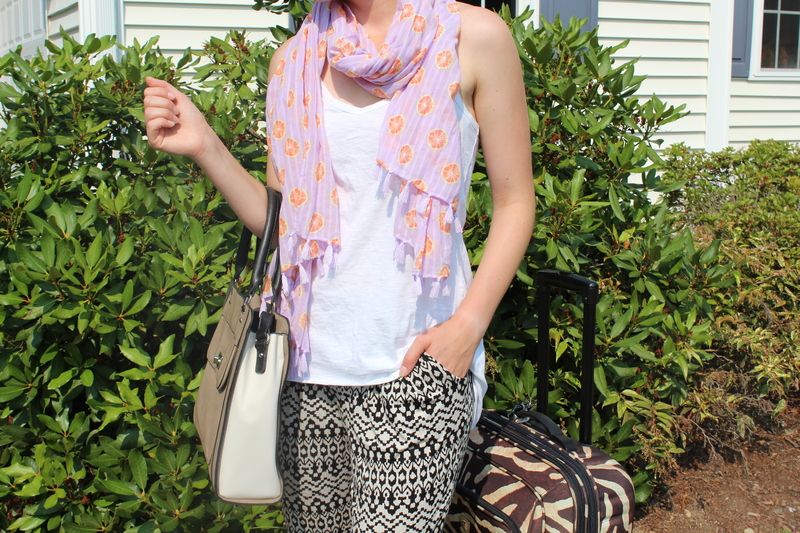 Perfect travel attire!